Wells are not the magic bullet solution to hosepipe bans than many people believe. Droughts still affect residential water wells leaving homeowners will less water than they are used to. The reasons behind droughts are largely man made. Shockingly, the quantity of water needed to run a sprinkler for an hour is enough to supply two families of four for a day. This should give you some idea as to why even water wells suffer from droughts. Here is your essential four-step guide to fighting summer well water droughts. Most houses in Connecticut are built on layers of water-storing rock such as chalk or limestone which can be utilized for drilling wells. Many homeowners commission private wells and boreholes, effectively creating their own private water supplies. This is possible without a license provided that no more than 4,000 gallons a day are pumped up. One of the best ways to fight a summer drought is to have your well regularly tested. Specialist well companies offer two-hour tests where they let the water run and monitor the drawdown rate. They check to see how many gallons per hour the well provides and use a floating water level monitor to determine how quickly the well replenishes. Low readings may indicate that the well requires cleaning. Regular cleaning will ensure that the well is replenishing at its maximum rate, helping you to beat the summer drought. 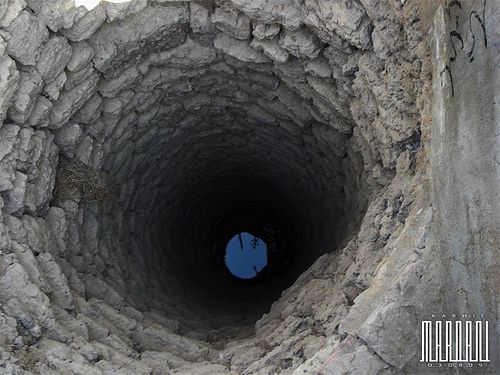 Without adequate pumps, no water is coming out of your well. Poorly maintained pumps will reduce the rate at which you can fill your storage tanks. Therefore, the second best way to fight summer well water droughts is to maintain your water pumps. This lets you get water at the maximum feasible rate, as and when required. You obviously won’t always need it, but it will be useful to have. If your pumps are underpowered, you may consider replacing them. Droughts inevitably mean that your well will not replenish itself with water at a normal rate. No matter how well maintained your pumps are, they cannot pump if there is no water. Accordingly, at times of the years when you can pump water at a slower rate, you will need to store adequate supplies of potable water for your home and grounds. If you presently have no tanks, or your current tanks proved inadequate during previous droughts, this means investing new storage tanks. The U.S. EPA warns that taking water from the groundwater supply affects everyone, since it is the same water that maintains reservoirs, rivers and aquifers used by the state water suppliers. There is a significant chance that private wells, boreholes and springs will dry during the same time that hosepipe bans are implemented. Concordantly, the best protection for fighting summer well water droughts is to maintain a mains water supply. This enables you to switch over to the public water supply when your well dries up. This four-step guide to fighting summer well water droughts should help any homeowner with a residential well. What do you think of our tips? What did we miss? Let us know in the comments below!